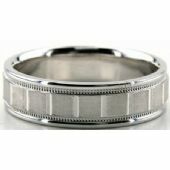 18K Gold 7mm Diamond Cut Wedding Band 693. To be one of a kind, we craft each ring by hand using the best of the best tools, to ensure that each wedding band and ring will be unique and different. We specialize in crafting our items in house which is in NYC. 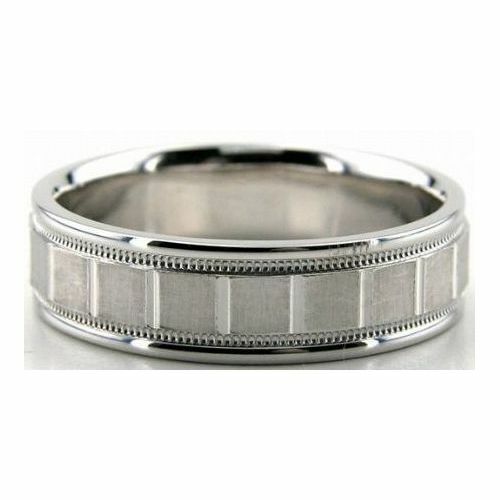 This wedding band is made uniquely to be stylish and comfort fitting. Two deep channels are on this band with a satin finishing. Milgrain lays in between the satin finish and the shiny polishing that is on both sides.